Arguably he has been the most famous press secretary the UK has ever seen. 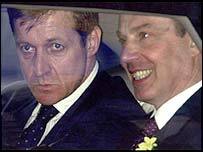 Mr Campbell was appointed as Tony Blair's official spokesman in 1994. From then up until the announcement that he was leaving his government post, the two men were regarded as so close that his words have often been interpreted as carrying the full authority of Mr Blair. With his decision to quit the prime minister has lost a man totally devoted to his cause. Despite opting for a more behind the scenes role as communications chief in recent times, Mr Campbell has proved that he is capable of making the news in his own right. Speculation over his future began around the time of his appearance, this summer, before MPs investigating whether the government exaggerated the case for invading Iraq. The partner of Cherie Blair's adviser Fiona Millar, Mr Campbell read modern languages at Cambridge. He made money by writing pornographic stories for the men's magazine Forum before entering journalism. By the age of 29 he had moved a long way from his roots as the son of a Pennine vet to become the news editor of a newspaper called Sunday Today. But the publication's launch faltered and the experience led him to a nervous breakdown. 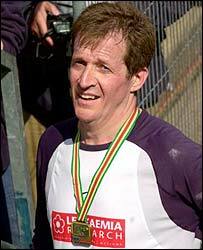 Campbell is said to have come out of the experience less brash, more disciplined and even more driven in his career. Around the same time he gave up alcohol - a step believed by many to give him the advantage of a clear head 24 hours a day to deal with the media. His career in the media continued successfully and he soon became political editor of the Daily Mirror. During this time he was also one of then Labour leader Neil Kinnock's closest advisers. It was from that post which Mr Campbell resigned to become spokesman for Tony Blair, then leader of the opposition. With the Labour election victory in 1997, he became the prime minister's chief press secretary, setting up a formidable Whitehall machine to put over the government's views and try to control the news agenda. In 2000 Mr Campbell gave up daily briefings to Westminster lobby journalists to concentrate more on long-term strategy. It was a move prompted by the fear that he, rather than his boss, was becoming the focus of media stories. "He throws himself into the project in hand with obsessive dedication"
A press chief like no other?